St. John the Evangelist School, Carmichael, California, was founded in 1961 by Monsignor James Kenny. Sisters of Mercy from the Congregation of the Sisters of Mercy, Kerry, Ireland, served the school in grades one through six. The 7th and 8th grades were added in 1962 and 1963 respectively. A kindergarten class was added in September of 1983, and an Extension program was added in September of 1985. Our 2- and 3-year-old preschool program was established in 2012. Since its inception, our school has been fortunate to have been served and supported by many diligent and caring priests. Currently, Father Bernardin Mugabo serves the parish in the capacity of Pastor. 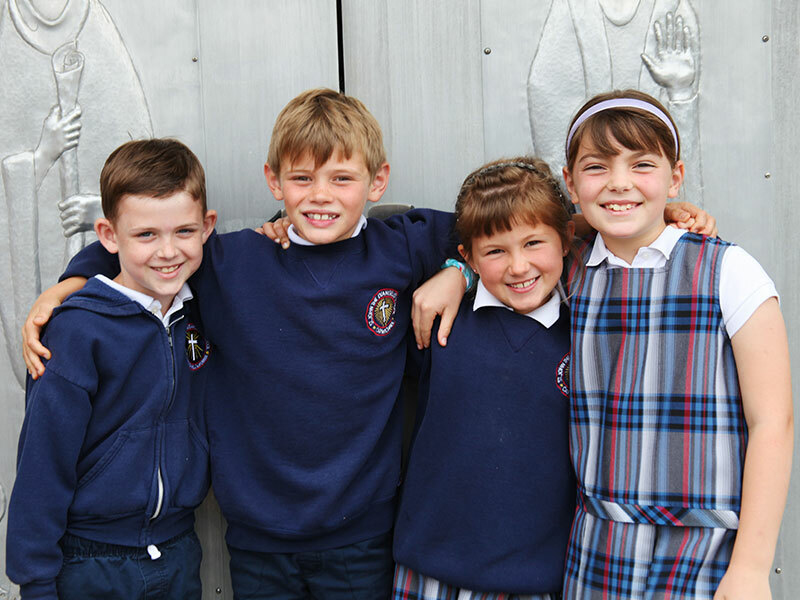 The school is also supported by the parish's ordained and religious staff, including Father Alban Uba (Mercy Hospital Chaplain in residence), Sister Hannah Mary O'Donoghue, Deacon Jack Wilson, and Deacon Keith Johnson. In June on 1990, the Sisters of Mercy withdrew the last two Sisters from the faculty. Dedicated, credentialed lay teachers now staff the preschool through eighth grade. Our faculty and staff are dedicated to providing a quality, Catholic education to our students.